Bette Davis has deadly aim. Oh boy! Do we ever love how this movie begins. Suddenly: A gunshot. A man staggers through the front door of a house, followed by a grim-looking Bette Davis, steadily firing a pistol. Six bullets she puts in the man and, after the gun is emptied, there is no doubt he is dead. Whoa! Isn’t that a kiss-hello! If this isn’t the most unforgettable opening scene ever, we don’t know what is. Because you have all these questions: Why is Bette Davis shooting? Who is that man? Why does she have to shoot him so many times? Any movie that opens with Bette Davis shooting the crap out of someone has to be great. And so it is with The Letter. Here’s a movie with clever plot twists, a mesmerizing storyline and a tension that grabs you and doesn’t let go. You’re probably wondering what happens after Bette Davis finishes killing the man. Sorry, not telling. We are so insistent that you should watch this movie that we aren’t even going to tell you the basic plot. Nope. Not one thing. Besides, you wouldn’t believe it if we told you. The Letter is based on a story by W. Somerset Maugham, and is directed by the brilliant William Wyler. Wyler’s use of darkness and light almost steals the show; it’s as if the shadows are part of the supporting cast. This is a top-notch movie with top-notch actors. The fabulous Herbert Marshall plays Davis’ husband, a loyal man who’s determined to fight for his wife’s cause. Victor Sen Yung is On Chi Seng, a legal assistant who exhibits the utmost courtesy with a chilling menace. Steely Gale Sondergaard plays a hardened Eurasian woman who utters very few lines and is completely sympathetic. We’ve gotten you intrigued, haven’t we? Admit it. You want to know why Bette Davis would empty a pistol into someone. Well then; you know what you have to do. The Letter. Starring Bette Davis, Herbert Marshall, James Stephenson. Written by Howard Koch. Directed by William Wyler. Warner Brothers, 1940, 95 mins. R.A. Kerr? Ruth, is that you? So glad to have found your terrific Silver Screenings Web site, and with THE LETTER, yet! I’ll admit I had avoided THE LETTER for far too long because I had somehow gotten the impression that it was some tiresome weepie, but people wiser than I urged me to give it a try (no pun intended to Leslie’s unfortunate target, Mr. Hammond :-)). I’ve never been so glad to be proven wrong! 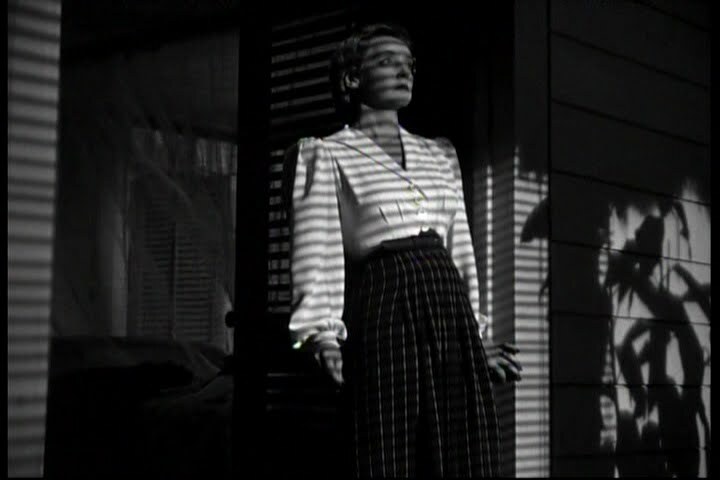 THE LETTER is actually a brilliant film noir in chick-flick clothing! Have you ever seen such beautifully-wrought sinister shadows in any film? 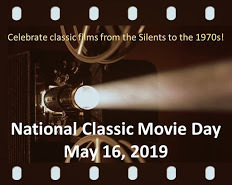 I truly felt for everyone in it, and the performances by Bette Davis, Herbert Marshall, James Stephenson, Gale Sondergaard, and Victor Sen Yung are spot-on. I agree with you: THE LETTER is a must-see for anyone fascinated with film noir and the dark side of human nature! So true! Really, a person cannot watch this movie too many times. Love your style! The Letter is Bette Davis’ best in my opinion, and I love all of her movies, even the stinkers! Me too! Bette Davis always gives you your money’s worth, doesn’t she? I like your three questions, and I would add a fourth one: “Will she get away with it?” I think that’s the dramatic question in the film. Like Mel Gibson, Bette Davis is a Lethal Weapon. Aha! Great question! Bette Davis is, indeed, a Lethal Weapon.